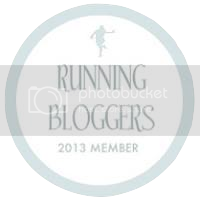 You have been subjected to my opinion for quite a bit lately, so I am now falling back on my original promise to gather good info and share it with newbie runners. Where to go for a non-crazed barefoot enthusiast perspective? WebMD! Normally I avoid this site because I find it a little scary, but since I'm not in any danger of diagnosing myself with lupus, I ventured in. The medical community is not 100% sold on barefoot or minimalist running (although 100% are against if you have diabetes). This is not surprising to me at all, but not for any of the conspiracy theorist reasons about doctors being in league with the shoe and orthotics industries...yes, those comments are out there. This WebMD Article is not too long, and worth the read for the reassurance that you aren't totally off your rocker. Disclaimer - I feel like I should have some sort of tag line, like "Run On!" or "You Go Girl!" but can't think of anything non-lame at the moment.